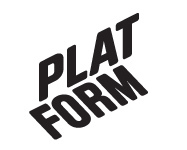 Maja Rohwetter – Platform r.f. In collaboration with the KulturÖsterbotten residency programme at Stundars, Platform arranged an artist talk/opening with Maja Rohwetter, an artist based in Berlin. Starting from a suite of paintings referring to experiences made from computer games, such as immersion, discontinuity of space, rendering problems and transitions from 2D to 3D, Rohwetter created an interactive 3D model. The painting process was translated to spatial constellations, layers and bodies. The show at Platform presented a video of a camera flight through this 3D environment, in addition to four paintings – based on screenshots of the model – that she realised during her stay at Stundars. In the video, the tracking shot forces the spectator into an often uncomfortable movement through space, permanently deconstructing the picture. The four paintings explore similar aspects, oscilliating between the recognizable and the unknown.